I used to think that blush wasn’t an important part of my routine, so I ended up skipping it in the past. However, after a good deal of watching Youtube makeup videos and looking at a lot of gorgeous people’s photos, I realized that blush was that one thing that could seriously brighten up your whole look, so I finally got around to making it an essential step in my routine. 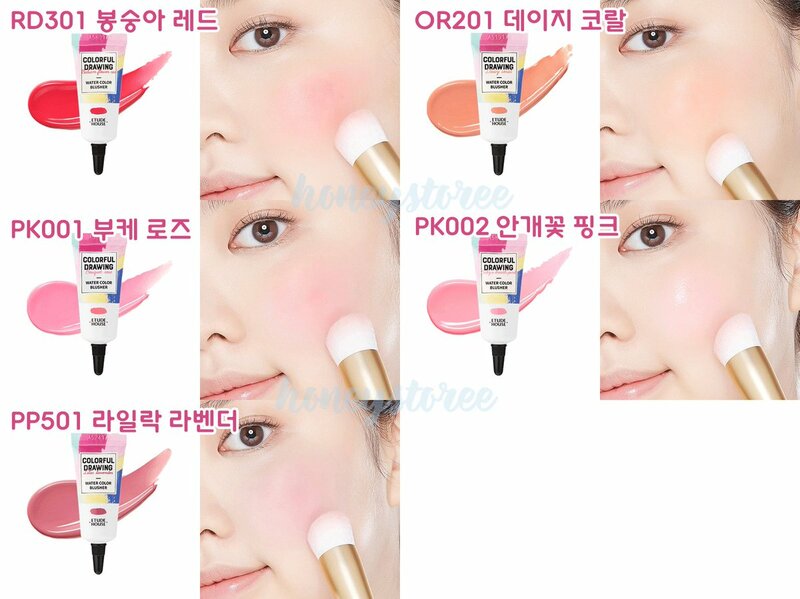 I’ve been meaning to try liquid blushes for some time, so I was pretty excited to try this out when Etude House released it in May this year. The liquid cream color blusher makes the cheeks look moisturized and fresh with bright color. Packaging: I like how the product looks exactly like a tube of paint, but I have to say that it has not been one of the easiest ones to use. It is so terribly hard to control the amount of product that comes out. Sometimes I squeeze really hard and nothing comes out, sometimes I squeeze a little and too much product gets on my hand, so I end up having either too much product on my face, or simply having to waste it. I really don’t like how hard it is to get an appropriate amount of blush on my hand – I think maybe a pump would have been better. Colour: I bought shade PK001, a pink flush that I thought would go well with my complexion. It is a great colour that really makes you look like you are in the pink of health, but in hindsight, I do think that PK002 or PP501 would have suited me much better because they look more subtle. PK001 is better suited for people who are looking to create a doll-like look. Staying power: One problem about this product is that it leaves colour residue on your fingers / brush / sponge, depending on what you’re using, so you waste about 1/3 of the product because it has already stained something other than your face. However, it does show how good the staying power of this blush is. Out of all my blushes, this is the best at ‘retaining’ colour on my cheeks even after a long day of intense sweating (and sebum production). I like the product itself, but I can’t exactly say that I like everything else, from the price to the uneconomical packaging. I’m looking to get a different shade after I’m done with my current one, but in the meantime, I hope that Etude House changes the tube packaging for this product in the near future. Calling for Beauty Bloggers to be interviewed & featured! I was really curious to buy this but I might hold on to my money instead, thank you for the great honest review! That color looks beautiful! Your description of this product reminds me of the Make Up For Ever HD blushes in the old pump packaging. It was very hard to control the amount of product that came out so you ended up wasting a ton; the pigmentation was amazing and long-lasting but it stained a bit. Great review! The texture looks interesting! I’m giving this a go.